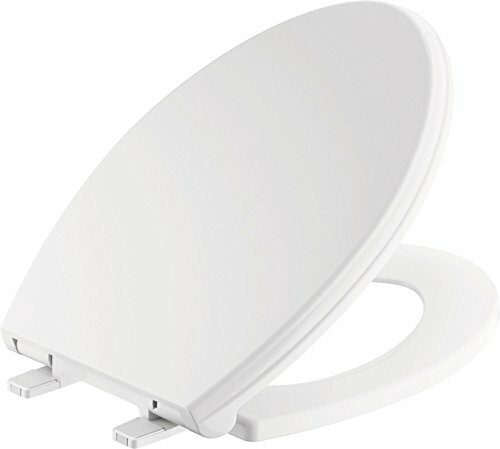 Easy to install, this Wycliffe slow-close elongated closed front toilet seat with no slip bumpers in white will provide years of reliable use. Delta toilet seats are thoughtfully designed and engineered for outstanding functionality and durability. The innovative no slip seat bumpers improve stability for extra comfort while the slow-close feature prevents the seat from slamming shut. Includes mounting hardware and installation instructions for diy peace of mind.